For years, coaches and trainers have been recommending SMART Goals without realizing their inherent shortcomings. With a dismal success rate of just over 50%, people and organizations have become frustrated with a system that fails almost half of the time. 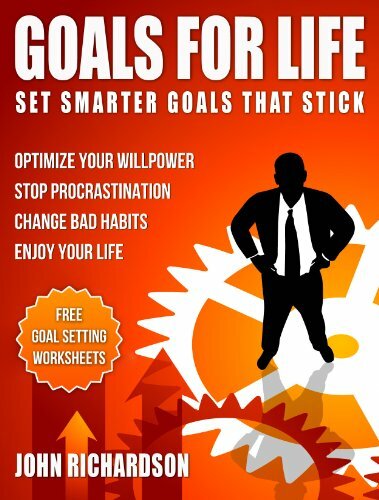 To counter this, I’ve taken the latest research into habit change and willpower and combined them with a structured goal-setting program to produce SMARTER Goals. This simple program is easy to implement with his included goal planning sheets. For those that want more, you can take this a step further with life changing IMPACT Goals. Starting with seemingly impossible objectives you lay out a plan for success. If you really want to change your life, your business, or the world, pick up this helpful little book and get started. Write down your dreams, and set up a plan to make them happen. To help you get started fast, I’ve included 8 different planners to match your specific needs. These come in handy PDF format that you can download and print in just minutes. Don’t put off setting your goals a day longer. Get the book, fill in the sheets, and get started on a great future. Subscribe To Our Facebook Page For Updates. I’ve done an extensive amount of research on Goal Setting and I’ve found that most people struggle with it. Whether it’s lack of motivation, structure, or willpower, many goals go unfulfilled. I’m in the process of researching a new goal setting technique and writing a book about the outcome. If you are interested in making goal setting more fulfilling and successful, please subscribe to our Facebook page. As the new book comes to fruition, I would love to hear your stories and comments about goals you have set, whether successful or not. We’ll be putting together a goal setting group later in the year to trade ideas and techniques. If you are a subscriber we’ll have special offers on the book and products for all members of the group. To subscribe, just click on the subscribe button on our page.